In the mining industry, heavy duty industrial mining pumps are often needed to transport solid-laden water from the worksite. Due to the abrasive nature of the application, pumps’ life expectancies are significantly decreased. Phantom Pumps’ heavy-duty, self-priming mining pumps have proven to perform at the same level or better than their more expensive counterparts from world-renowned manufacturers. 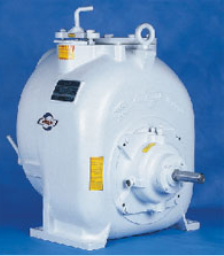 Our pumps are built to endure the most intense applications and can run dry. For mining pumps you can count on for 24/7 performance, trust in Phantom Pumps. In addition to our exceptional industrial mining pumps, we also manufacture top-rated equipment for a variety of industries. You can trust and rely on our team of engineers when you need to find industrial pumps for your new or existing processing facility. Whether you need reliable, self-priming, industrial trash pumps, sewage pumps, mining pumps or other pump models, we can provide you with the right equipment, and our pumps can work around the clock with minimal maintenance. Not only do we offer an exceptional product line, but we also offer valuable pump repair and pump parts services. We manufacture compatible and interchangeable repair parts that can be used with models from names such as Hayward Gordon, WEG, Watson Marlow and others. Better still, we have a global network of distributors that are available locally 24/7 for any type of installation assistance, repairs, products, replacement parts and more. When you need exceptional industrial mining pumps, industrial trash pumps or any other industrial pump equipment for your facilities in Florida, Alabama, Georgia, Ohio, South Carolina or throughout the United States, trust the manufacturer that more and more professionals turn to each year – Phantom Pumps. Contact us today for more information about the various services that we offer or to request a quote on any of our industrial processing equipment.